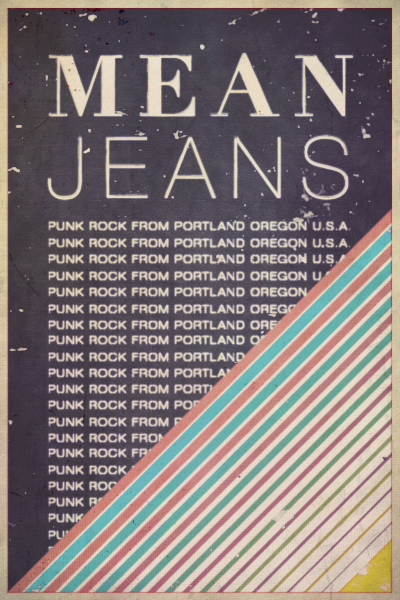 The Mean Jeans sound has progressed over the years from pounding 4/4 drum beats and catchy vocal hooks to a band with multiple dimensions, guitar layering and three part vocal harmonies. The vibe stays the same but the music has a much added dimension. 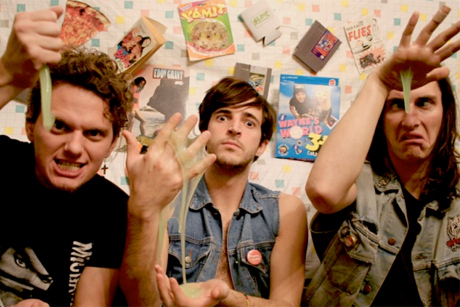 The new record is a departure from the first full length and 7in's with a conceptual aspect. You can see how the band truly cares about song structure and moving forward as a unit while still having fun. The place was packed last Friday night and the energy was high -like any great show should be, full of crowd surfing and rowdy times (I even lost my camera in the pit). 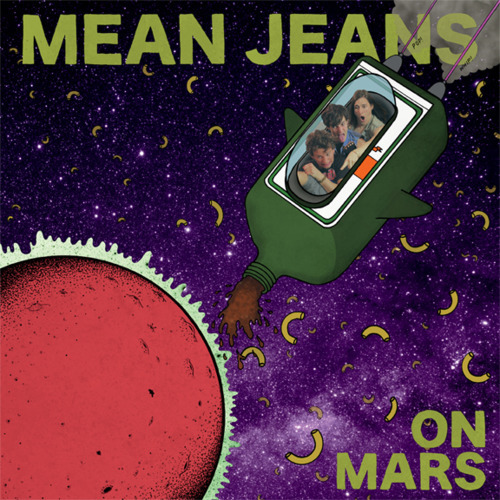 The new record On Mars is full of different types of tunes running the gamut of things from outer-space to partying and a few love tunes mixed in there too. My favorite stand out track- 2 Twisted 2 Luv U is a departure from the Mean Jeans fast tempo punky numbers yet evokes a nostalgic vibe with it’s funny love lost lyrical content. The line I made a lot of mistakes like I always do, made a lot of mixtapes did they work on you? -reminds me of high school lost loves and great friends in childhood. The song is reminiscent of the stripped-down Ramones ballads of the early years like I Wanna Be Your Boyfriend.